Trends and technology change so quickly that no one person alone can possibly research and understand all of the drivers and influences affecting how color is being used today and will be used in the future. Unlike years ago, when there was a more predictable route for color trends to move from fashion to home, or from Europe to the U.S., color today is jumping across industries and crossing borders faster than ever before. Today a color that’s hot in automotive may be seen next season on the fashion runway, and a color that is considered a classic in India may suddenly be the lastest trend in the U.S.
Color Marketing Group (CMG) is an organization that is all about collaboration and sharing among color professionals from every industry. I find it to be an invaluable resource when it comes to understanding the direction for design and color for years to come. While CMG does provide color forecasts across all industries, and has for more than 40 years, what I find most valuable is the sharing of insights and experience among colleagues who, like me, are working in the field every day. I attend CMG conferences because they give me an opportunity to participate in dialogues and to clearly picture how trend drivers and influencers are influencing designers and marketers across industries. This knowledge can be key in correctly predicting trends for my clients. Between conferences, my colleagues and I share via our listserv, or we speak directly, and if I ever need help with a specific question or problem, an answer is usually no more than an email or phone call away. Don’t Think You Need to Know About Trends? Some people say they don’t follow trends, giving all kinds of reasons trends aren’t important to their business or their clients. Usually, though, I have found the reason they feel this way is that they just don’t understand trends or the benefit of understanding their influence. Trends affect even the smallest business and its customers. Having spent many years working for major corporations, I know the importance of spotting trends for large companies. In the years that I have been consulting, I have seen how important it can be for smaller organizations as well. Whether big or small, by identifying trends you can see the bigger picture and identify potential opportunities opening up for your business or service. 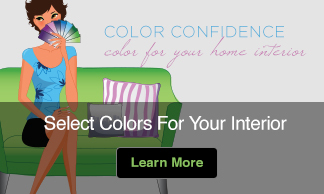 While I don’t encourage individuals to focus on trends when they are choosing colors for their home or themselves, I do believe color professionals working with individual clients need to know about them. Understanding why colors are going in a certain direction can make all the difference in selecting a hue that meets the underlying or unspoken needs of a client. This is what sets true color professionals apart. 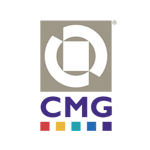 You might say that those who don’t see the value in understanding color trends haven’t learned what those of us that are part of CMG know to be true…. 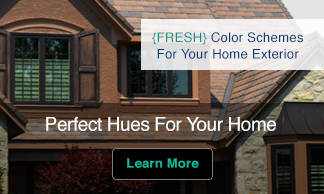 Color sells, and the ‘right’ colors sell better! I am an active member of the Color Marketing Group (CMG) and highly recommend this organization. If you are interested in learning more or joining CMG, I’d be happy to talk to you about it directly so that you can determine if it might be as beneficial for you as it has been for me. Please contact me by by clicking here.